Lal Bahadur Shastri Institute of Management, Delhi is a premier and dynamic institute of Management and Information Technology Education. Established by the Lal Bahadur Shastri Educational Society in 1995, it has emerged as one of the top business schools in the country. It takes pride in being one of the foremost institutes in providing value based management education, thus developing professionals with a humane and pragmatic approach on the march towards corporate excellence. 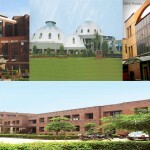 The institute has state-of-the-art infrastructure and a fully air-conditioned building in Dwarka, New Delhi. 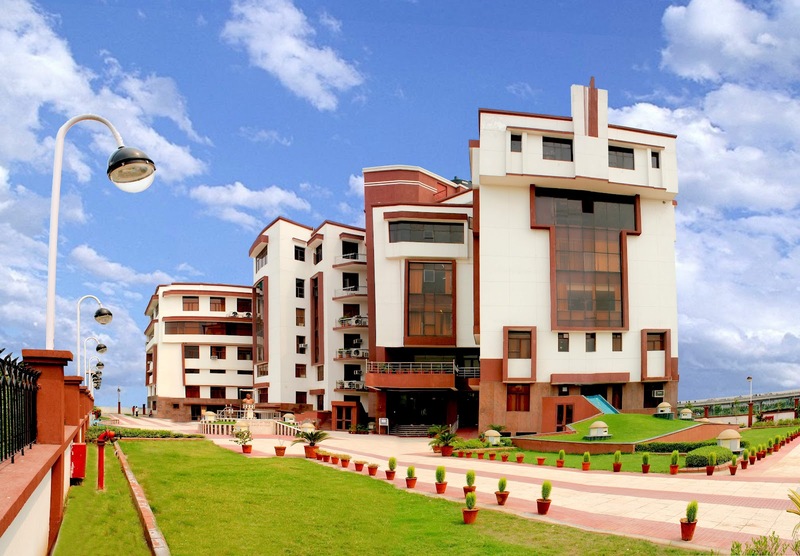 The campus of the institute at Dwarka, is located near the Delhi Metro line and thus, can be reached with ease by students living anywhere in Delhi/NCR. Excellent arrangements for boarding, lodging, and other facilities have been made in Dwarka itself, for students desirous of residing near the campus. The campus offers excellent infrastructural facilities and is equipped with a splendid auditorium, having capacity of 300 people; a huge library spanning two floors, which would be the envy of every business school in the country and has also an open-air theatre. Lal Bahadur Shastri Institute of Technology and Management, Indore (LBSITM), is our recent initiative that offers two year full Time Regular Post Graduate Diploma in Management.The Institute duly recognized by AICTE, Ministry of HRD, Govt. of India is to be modeled after Lal Bahadur Shastri Institute of Management, New Delhi. The Two Year Full-Time Post Graduate Diploma in Management programme consists of six trimesters. The course structure has been designed to ensure that the management graduates of LBSIM develop a judicious blend of strategic thinking, tactical implementation, specialized knowledge and general management skills. In the three trimesters during the first year, the focus is primarily on basic courses, to build a foundation of conceptual and analytical skills, required for pursuing specialized study in various functional areas, in the second year of the programme. The students have to take 21 core courses along with a Personal & Interpersonal Effectiveness Lab and undertake Summer Training at the end of the year. The students may also have the opportunity to take a foreign language as an optional course during the first year or second year. In the second year, during the fourth, fifth and sixth trimesters, the students have to opt for 13 electives in addition to the two compulsory courses. This enables them to pursue in–depth and rigorous learning in the areas of their specialization. The electives cover a minimum of two functional areas, which equip the LBSIM graduates to sharpen their multiple functional skills.The participant will also choose an elective from the General Management area in fifth and sixth trimester. Besides, each student undertakes a project study under the guidance of a faculty member during the second year, with the aim of gaining an insight into actual corporate realities by studying a business problem or a situation. The students from the beginning of fourth trimester undertake the project study and the final submission is at the end of fifth trimester. The candidate must hold a bachelor’s degree with at least 50% marks or equivalent CGPA of any of the universities incorporated by an Act of the central or state legislature in India or other educational institutions established by an Act of Parliament or declared to be deemed as a University under section 3 of UGC Act, 1956 or possess an equivalent qualification recognized by the Ministry of HRD, Government of India. The bachelor degree or equivalent qualification obtained by the candidate must entail a minimum of three years of education after completing higher secondary, schooling (10+2) or equivalent. Candidates appearing for the final bachelor’s degree/equivalent qualification examination can also apply. Such candidates must produce a certificate from the Principal/Head of Department/Registrar/Director of the University/Institution certifying that the candidate has obtained 50% marks or equivalent based on latest available grades/marks. The deadline for submission of the mark sheet and the certificate is December 15, 2016. Non-fulfillment of this condition will automatically result in the cancellation of the provisional admission. Besides CAT, candidates are required to register at LBSIM, Delhi through a separate Application Form which will be available along with Information Brochure from 10th October, 2015 from Admission Coordinator, LBSIM, Delhi. Candidates short-listed on the basis of CAT score will be called for Group Discussion (GD), Extempore, Written analysis test and Personal Interview (PI) for final selection. The Information Brochure and Application Form for the programme, giving detailed information, is available with the Admission Coordinator, Lal Bahadur Shastri Institute of Management, Delhi on all working days between 9.30 am and 5.30 pm (except 2nd Saturday & Sundays and holidays) at LBSIM Dwarka Campus, on payment of `Rs.1950/- in cash or by Demand Draft (Add Rs.75/- for sending information brochure by post in India and Rs. 200/- for abroad) drawn in favour of ‘Lal Bahadur Shastri Institute of Management ‘ Delhi, payable at New Delhi. Application Form can be filled online with provision of online payment or can be downloaded from our website: www.lbsim.ac.in. Such downloaded application forms must be submitted along with a DD of Rs. 2025/- (Rs. 2200/- for candidates residing abroad) in favour of ‘LBS Institute of Management’ payable at New Delhi, towards information brochure, postage and processing. *Fee includes study material and books for the programme. Management Grid Contribution of Rs. 20,000/- (For Full Course). Alumni fee Rs. 5,000/- (Life Membership). Fees and other charges in respect of corporate sponsored candidates are payable in two installments as indicated above. Impart conceptual knowledge on the basics in finance, accounting, economics, regulatory environment, and human behaviour. 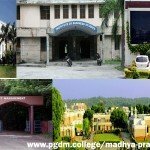 PGDM-Finance is a two-year full-time programme spread over six trimesters. During the first year, the focus is primarily on building a strong foundation of conceptual and analytical skills required for advanced and specialized courses in finance pursued in the second year. In all, students study 22 courses covering Economics, Human Relations, Quantitative Techniques, Financial & Cost Accounting, Corporate Finance, Information Technology, besides a Personal and Interpersonal Effectiveness Lab. In the second year, students have to opt for six electives in addition to ten compulsory courses. This enables the students to pursue an in-depth learning in the area of their specialization. The electives cover a variety of relevant areas, such as Treasury Management, Investment Management, Risk Management, and Strategic Accounting & Control. Besides these courses, each student is also required to undertake a Research Project under the guidance of a faculty member with the aim of gaining an insight into the actual corporate realities by studying a business problem in depth. Students take up the project study at the beginning of the fourth trimester and submit the dissertation thesis towards the end of the fifth trimester. Each student is required to undertake summer training in a company of repute for the duration of 8-10 weeks as a part of course curriculum just after the third trimester examinations. This project training provides an opportunity to the students to have a first hand practical exposure and familiarize them to relate the conceptual and analytical skills acquired in classroom to actual managerial practices. The project is evaluated by the faculty members of the institute and the experts from organisations where the project was carried out. If the evaluation falls below the expectation level, the student is not promoted to the second year. According to recent research on management education, business leaders prefer to engage professionals with 5-10 years of work experience with some short term management qualifications. Such professionals contribute more to growth of the organization as they stay for a longer period. This trend is also visible in Indian situation where top B-schools have embarked upon 15-month Executive Programme (a condensed course in various aspects of multi disciplinary management areas) to fill up the middle level management gap. In the recent times, there has been a considerable requirement of managerial competence both in the corporate and non-corporate sectors. The executives who have worked in the corporate sector for over 5 years, but are without a formal management education find it difficult to grow. Moreover, they are not in a position to spend 2 years away from their jobs. This programme enables them to enrich their managerial & entrepreneurial skills. Preference may be given to professionals such as Chartered Accountants, Company Secretaries, Cost Accountants, Engineers, Architects, and Doctors etc. CAT/GMAT recent scores/ test conducted by LBSIM and personal interview.